Hydrason’s WBS System is in Canada taking part in the international ExRAISe Experiment organised by DRDC Atlantic, 4th to 15th May 2015. Alongside a prototype low frequency system and high end SAS (Synthetic Aperture Sonar), the WBS is being used to characterise mine-like objects based on their acoustic signatures. Hydrason has been selected as a finalist for Cleantech Innovate Scotland 2015. Hydrason’s WBS system presents a valuable support technology for more efficient installation and maintenance of infrastructure to secure our low carbon future. 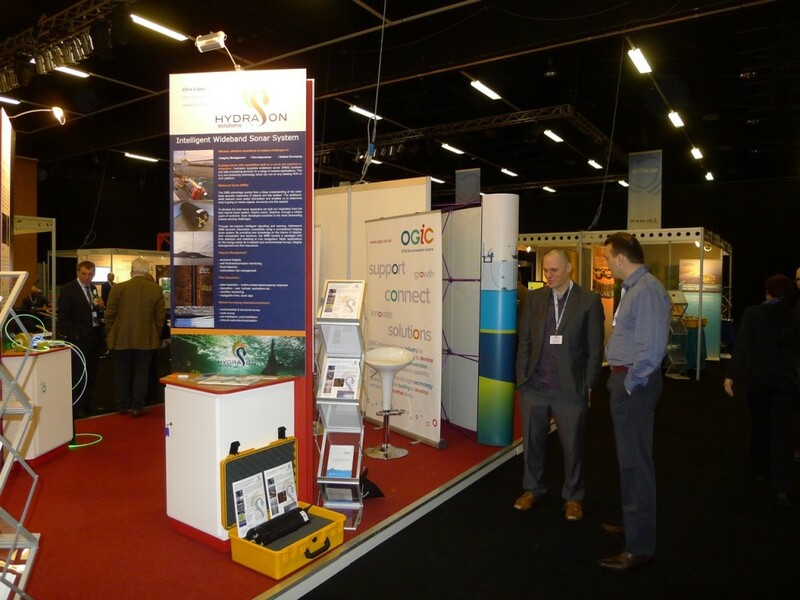 Hydrason has been at the ITF Technology Showcase at the AECC in Aberdeen this week. Thanks to all at OGIC/CENSIS for helping to make our participation in the Innovation Pavilion a success. Hydrason is joining the SDI Trade Mission to Japan, Sept/Oct 2014. Starting in Tokyo, the mission transfers to Kobe for the TechnoOcean 2014 conference and exhibition at the Kobe International Exhibition Hall. Hydrason continues to strengthen its R&D base. Our latest recruit joined the company as research engineer in April bringing valuable new skills in classification and signal and image processing.